From the moment you arrive, you’re bound to be impressed with Mallard Lodge. It is located in the heart of the magnificent Cumbrian countryside, with panoramic views across Wild Boar Fell and the Howgills. 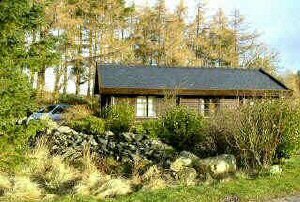 It is constructed from the very finest Danish Pine logs with a local stone base and slate roof which blend sympathetically into their surroundings. Not to be confused with inferior caravan type cabins. It goes without saying that the lodge is spacious and well equipped. Central heating makes it warm and cosy during the winter months. The lodge has a country cottage feel to it. There are three good size bedrooms: one king-size with colour TV, bunk-room for the children and a twin bedded room allowing the lodge to sleep a family of 6 very comfortably. The welcoming lounge features a three piece suite, a wide-screen colour television, video, DVD and music system. The fully fitted kitchen includes an electric cooker, microwave, kettle, toaster, fridge etc. The dining room features a dining table and 6 chairs. There is a separate laundry room with washer/dryer, iron and ironing board. The garden includes table and chairs and a barbeque with picnic bench. There is parking for 3 cars. Patio doors lead onto the spacious furnished veranda with incredible views of the surrounding countryside. 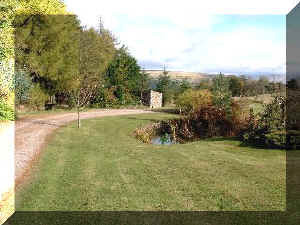 The Lodge is bounded by dry stone walls, fringed on one side by a screen of trees, with a spacious driveway and an ornamental pond. A charming stream flows alongside. There is a small children’s play area overlooking the sheep grazing in the field. The fells and footpaths that surround the lodge are a paradise for walking and cycling. The Howgills offer unrivalled walking with spectacular views in an un-crowded area. Ravenstonedale village (1 mile away) is an unspoilt idyllic village in the Eden valley. The region is an area of outstanding natural beauty with a wealth of activities on hand. Ravenstonedale lies between the Yorkshire Dales and Lake District national parks. This situation provides 'the best of both worlds' with the amenities of both areas. Walking, golf, riding, fishing, miles and miles of gently undulating country lanes await you. Dogs allowed for additional £10 per week per dog. No breed of dog is accepted, which is deemed dangerous by government legislation, i.e. American Pit Bull, Japanese Tosa, etc. There is No Charge for Guide Dogs or RNIB Puppy-walker's Dogs. You must bring baskets, bedding, etc for your dog. Under no circumstances are dogs allowed on beds or other furniture. Dogs must not be allowed to foul on, or in, the property. The right is reserved to levy an additional charge for cleaning, etc. if required. Dogs are NOT to be left unattended in the property. Normally a maximum of 2 small dogs or 1 large dog is allowed, except in exceptional circumstances. All linen is provided. Guests must bring their own towels unless travelling from abroad. Electricity is by electric meter. There is also a security bond of £40, which must be paid in cash on arrival and which will be refunded after the holiday, providing there are no breakages and that the lodge is left in a good state. Short breaks are available from 1st October onwards for a minimum 4 night stay. The rates are on a pro rata basis plus £30. The charge for dogs is £16.